Welcome to Queen Creek High School (QCHS). As part of the Queen Creek Unified School District, we serve high school students in the Queen Creek, Arizona area. We know that together with our talented students, the dedicated parents, and our supportive community, we can accomplish a great deal of success. We hope you will be a part of the many exciting things taking place at Queen Creek High School. Enjoy your visit to our site. 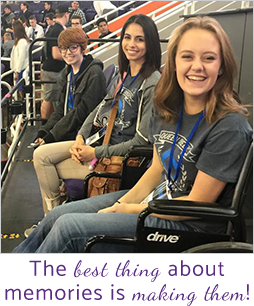 At Queen Creek High School, we believe in our motto, "High Achievement in a Caring Environment." Our faculty and staff offer our students a challenging educational experience that will prepare them for life after high school. We embrace the contributions of each of our students and believe you will find top-notch scholars at our school. Queen Creek High School serves about 2,100 students in grades nine through twelve. The students have access to programs, sports teams, and school clubs that allow them to grow academically as well as enjoy their time spent here. Our excellent faculty and staff work hard to make QCHS a challenging and enjoyable place to learn. The community of Queen Creek supports our school and offers a friendly atmosphere that affects our school in a positive way. As a rural town of around 33,700, Queen Creek has many benefits, including easy access to the metro Phoenix area. We appreciate the residents of Queen Creek for their support of our school. Motto: "High Achievement in a Caring Environment"